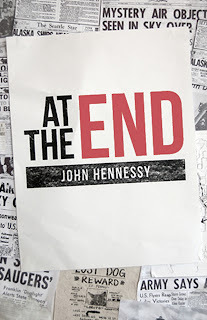 John Hennessy, At the End. John Hennessy, 2012. Pp. 232. ISBN 9781476249599. $0.99. 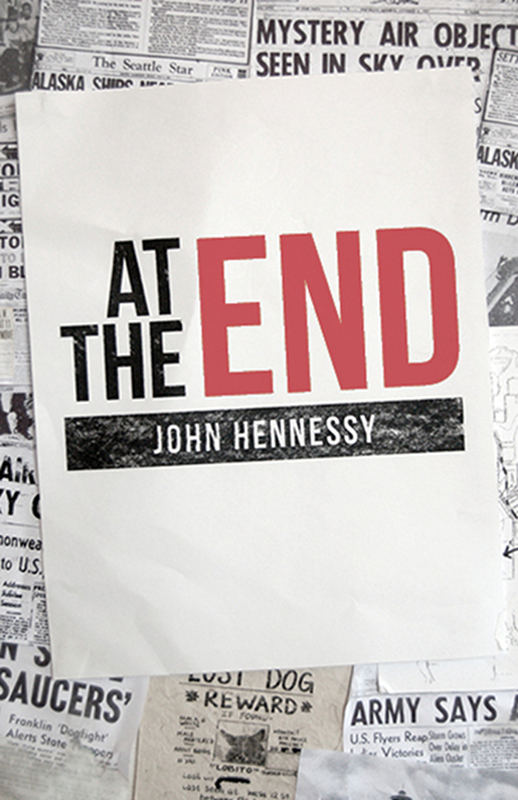 John Hennessy’s At The End, available via Smashwords, is an action packed dystopian thriller aimed at young adults. Relentlessly fast-paced from the very beginning, it’s a short novel, which readers will almost find themselves holding their breath as they read. Set in the near future, aliens have invaded planet Earth, then rounded up or killed most of the world’s population. Four teenagers; Maggy, Darrel, Felix and Penelope find themselves in this post-apocalyptic nightmare where survivors are being hunted and killed by the invading alien creatures. The aliens, nicknamed ‘Alions’ by Maggy due to their physical similarity to lions, are intelligent, powerful, determined and ruthless. It ultimately takes all their wits to survive and make their way to safety. The novel is essentially a rollercoaster that refuses to let up. It is however, an ideal book for it’s young adult audience. The narrative switches between two protagonists; Darrel and Maggy, which keeps the story fresh and engaging despite the break-neck pace. It features chapter after chapter of vivid ideas and, while it promotes concepts of equality and friendship, it does so without patronising its readership. I was most pleased to discover the equal footing women are given in this often violent and bloody tale. Both Penelope and Maggy are stronger independently, often making decisions and rescuing the boys from harm. Both Felix and Darrel have turns at being the hero too, but this appears to be in spite of their own teenage insecurities. All characters have a feasible and humbling realism in terms of the asthma they each suffer and even their extremely human responses to the stressful experiences of their journey together. A significant character during the second half of the book is Private Burnhammer, a steely, powerful and friendly soldier tasked with keeping the teens safe. It was a pleasure to see such a strong female character in this role—it would have been far too easy to relegate the position to a man, yet Burnhammer is demonstrably powerful both physically and emotionally. In my opinion we should see far more characters like this in mainstream fantasy. The dual narratives intertwine well together, often leaving intelligent cliff-hangers or clever plot twists at the end of each chapter. Moments of tenderness between the protagonists are quite well written, although this emotional element is not perhaps explored as well it could be, often seeming like a stop-gap between the frantic violence and enthralling action sequences. Furthermore, on very rare occasions, a small pinch of authorial naivete leaks through and threatens to derail the narrative. Thankfully it never does and I doubt the novel’s primary readership will notice, but some elements of the text are weaker than others if scrutinised closely. As with most tales of alien invasion, you can surreptitiously overlay the story with a post-colonial discourse that reflects the uncomfortable historical legacy of imperialism. While the alions physically look like lions, their intelligence, ruthlessness and “humanlike” limbs, hands and fingers, purport more in common with humankind than difference. I’m unsure how intentional these similarities are, or whether a post-colonial subtext was inferred, but it can certainly be read as a brutal reflection of a native population initially being exploited by a determined alien force. At the End would make a sterling big-budget movie, blending Independence Day with I am Number Four and The Goonies, high on action and drama. I’m unsure adults will be quite as swept away with the plucky teenage narratives and the novel perhaps lacks a little character depth to move literary mountains, but for a young adult audience, it’s a storming text of exciting action and nail-biting survival-horror that fizzes along with lots of pace. It will not suit all appetites, but it will undoubtedly blow the socks from its desired audience.